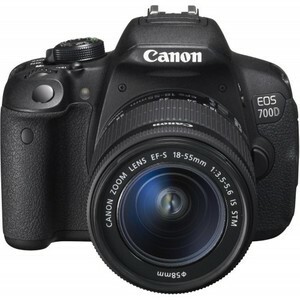 The Lowest price of Canon 700D in Pakistan is Rs. 49,900, and estimated average price is Rs. 59,276. 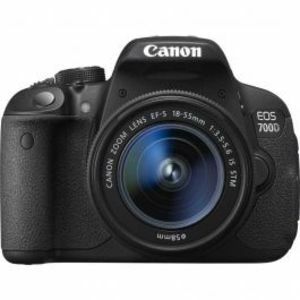 Get the latest price for Canon Eos, Canon 700d, and other products. The prices are collected from the best online stores in Pakistan like HashmiPhotos, Buhatala.com, Symbios - updated Apr 2019. Is the search for a professional camera with all the specs and high-quality results taking a toll on you? Then it’s about time you take a look at the Canon 700D. This specific model from Canon hands its user 18.50 in total megapixels and a maximum screen resolution of about 5184 x 3456. The sensor type inside the camera is CMOS and the device has a sensor resolution of about 5196 x 3464. The ISO is automatic and amounts to 100, 200, 400, 800, 1600, 3200, 6400, 12800 (25600 with boost). The product has an exposure compensation of ±5 EV (in 1/3 EV, 1/2 EV steps). It also includes raw support, manual focus, a Optical (pentamirror) viewfinder, 1920x1080 (30/25/24) maximum video resolution and much more.